Bharuch: Online ticket booking for visit to Statue of Unity, the tallest statue in the world is now available on www.soutickets.in . According to a statement issued by Sardar Sarovar Narmada Nigam Ltd (SSNNL), online booking has been launched with effect from October 27, well ahead of statue’s inauguration by Prime Minister Narendra Modi on October 31st. The statement said the statue will be opened for public visit with effect from 1st November 2018. Sardar Vallabhbhai Patel Rashtriya Ekta Trust (SVPRET) has also developed mobile application for online booking which shall be active soon, the statement said. In addition to online booking, the visitors will also be able to buy ticket from Statue of Unity location and Shreshtha Bharat Bhavan complex which is located nearby. 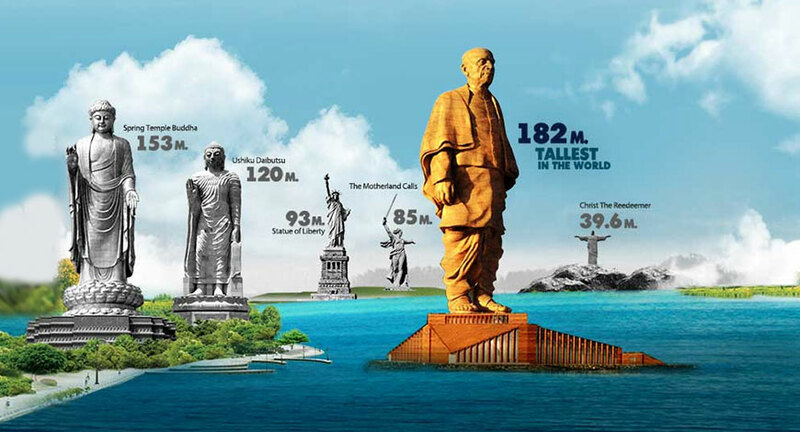 Statue of Unity, the world’s tallest status is 182-meter high. It features the iron man of India, Sardar Vallabhbhai Patel who created Indian map post British rule by uniting native states. – Adult visitor will need to pay Rs 30 for bus ticket, Rs 120 for entry ticket, base exhibition of statue etc places. Ticket rate for base exhibition plus view gallery will be Rs 200. 3-15 year age group children will need to pay Rs 30 as entry ticket, Rs 60 for base exhibition of statue etc and Rs 200 for entry ticket, base exhibition plus view gallery visit. – All tickets will be available at Shreshtha Bharat Bhavan and also at memorial and visitor centre at Kevadiya. Online tickets will be available from SouTicket.in. – Once the daily capacity of visitors is over, view gallery and exhibition hall’s online ticket sale will end automatically. – All tickets will be sold during 8.30 am and 4.00 pm. – The statue of unity, exhibition and view gallery will remain closed every Monday. – Buses carrying school children will be allowed to visit Sardar Sarovar dam upto the dam site.